"Ever have an accident?" "Nope, nary a one." "None? You've never had any accidents." "Nope. Never." 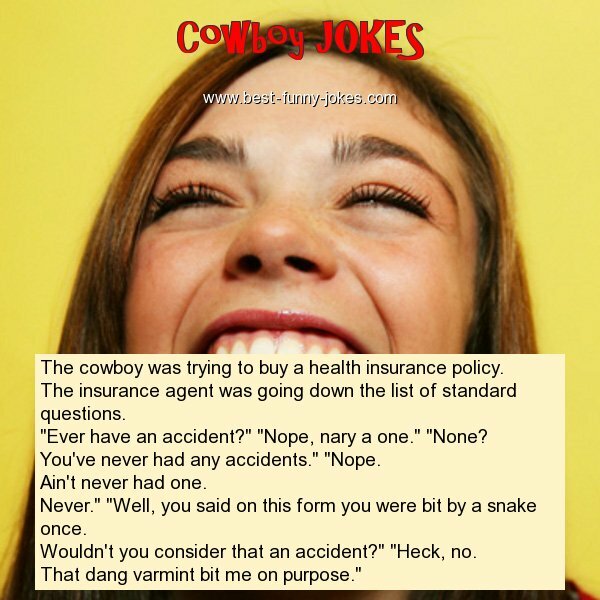 "Well, you said on this form you were bit by a snake once. Wouldn't you consider that an accident?" "Heck, no. That dang varmint bit me on purpose."